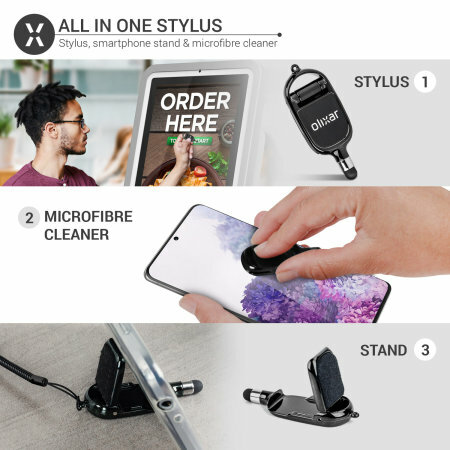 The All-in-One Stylus, Stand and Microfibre Cleaner in black is suitable for all capacitive touchscreen devices - reducing fingerprints while also acting as a portable smartphone stand and even plugs into your headphone socket for portability. Very small but very powerful gadget. Put it in. Never falls out. I ordered 3 more. Don't plan to be without this again. Stylus has lasted longer than the pen type. Would appreciate a more coarse stylus for my LG Flex. Use stylus extensively due to poor spatial perception. Stylus prevents hitting neighboring key with stiff fingers. The holder works as it should. I rarely park my phone unless I'm stuck in bed. My experience is slim. I use many different carriers, including my jeans and coat pockets. It has never fallen out. I wear this phone because I fall often with vestibular problems. I must call 911 to get lifted off the floor, stairs, sidewalk, and store check out line etc. Where i live no staff is allowed to touch me and none can lift any of us. This little item is invaluable to me and i use it constantly. The screen cleaner is very convenient unlike the wipes I use many times each day on my glasses. How I manage to touch my lenses I do not know. Wish I had this for them. Try it. You'll like it! If you don't, it won't break the bank. And you can give it to me! We all love portable gadgets and this is one that will take some beating! Introducing the ultra compact All-in-One Stylus, Stand and Microfibre Cleaner - designed to be extremely portable so you can carry it around with you all of the time. If you ever need a stylus, smartphone stand or microfibre cleaner - this is the item for you! Navigate your device's apps and imitate many of its supported gestures with a stylus, allowing you to enjoy more control and accurate typing via the on-screen keyboard. 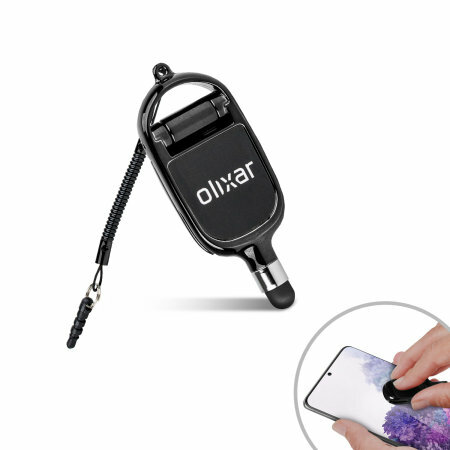 Lightweight and extremely portable, the All-in-One Stylus, Stand and Microfibre Cleaner can easily be carried with you wherever you go and is comfortable to use for extended periods of time. With the use of a stylus, on-screen fingerprints and smudges will be significantly reduced - improving screen clarity. 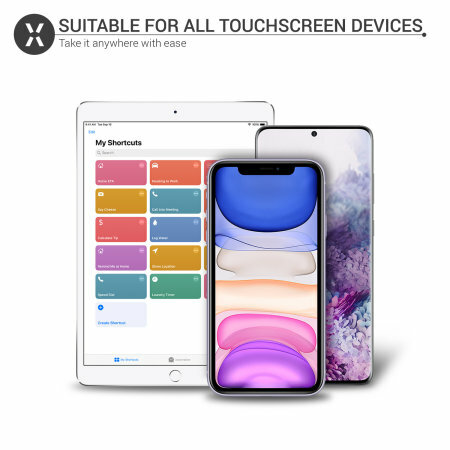 This enables you to use your capacitive smartphone screen for a far longer period of time without becoming frustrated, due to you having to stop and clean the display. With its non-scratch and durable rubber tip, you can be assured the stylus will not harm your beautiful phone display. With this portable all-on-one, you can rest your smartphone on the featured stand so you can view media content hands-free wherever you are. All you need is a suitable flat surface to rest the all-in-one tool on, flip up the stand feature and position your smartphone in landscape mode. The featured stand is ideal for watching videos, viewing photos, listening to music or taking part in Skype or other VoIP video call software. 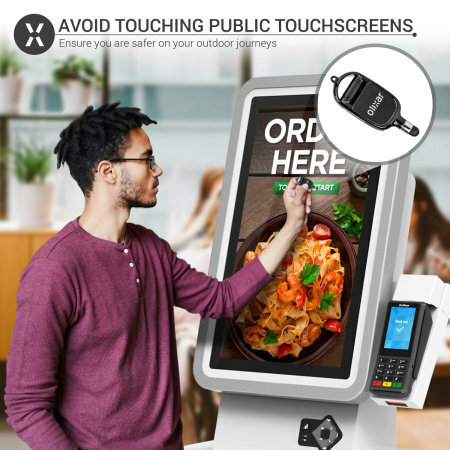 When not using the featured stylus of this great all-in-one tool, fingerprints will no doubt become a problem - obscuring the beauty of your phone's display with unsightly smudges. 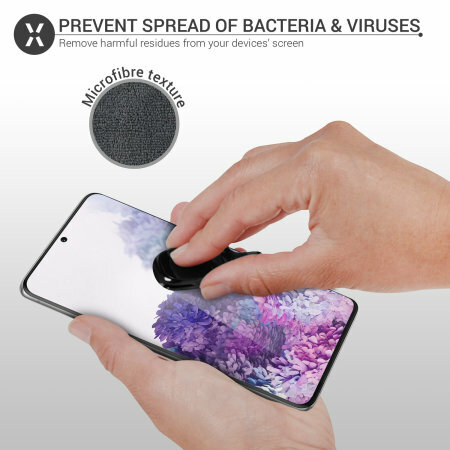 Fear not, as this superb all-in-one tool features a Microfibre cleaning pad, that can wipe your screen free of these annoying distractions. For even greater portability, the All-in-One Stylus, Stand and Microfibre Cleaner includes a headphone socket attachment. 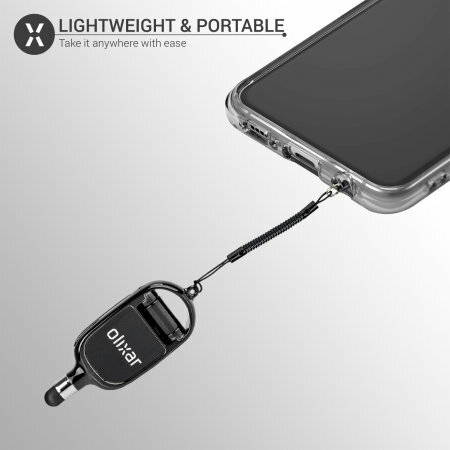 This allows you to connect the all-in-one tool to your smartphone's headphone socket so it will always be within reach.